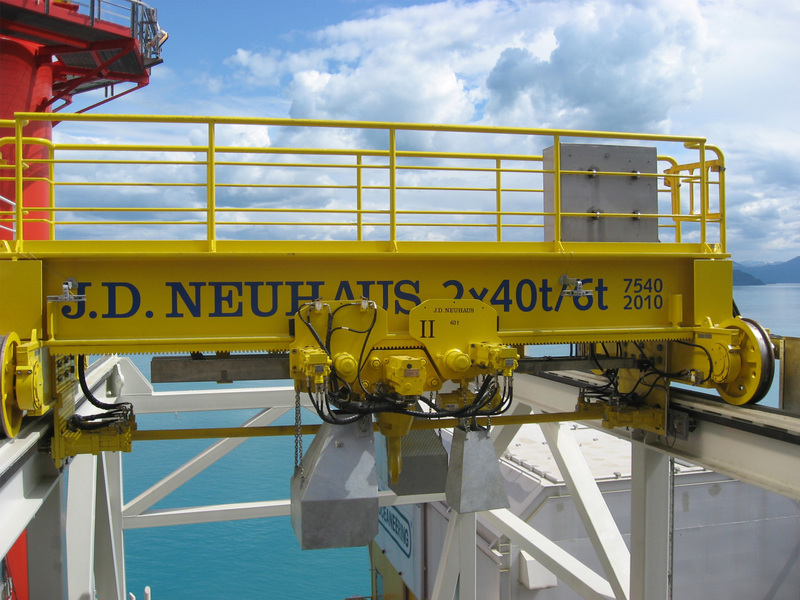 The J D Neuhaus extensive range of handling equipment, including hoists and cranes are all engineered for extremes, providing safe operation in dust laden atmospheres or other explosion-hazardous areas such as the chemical manufacture and processing environments. All the JDN products, which include both compressed air and hydraulically operated units are Explosion Protected as Standard. 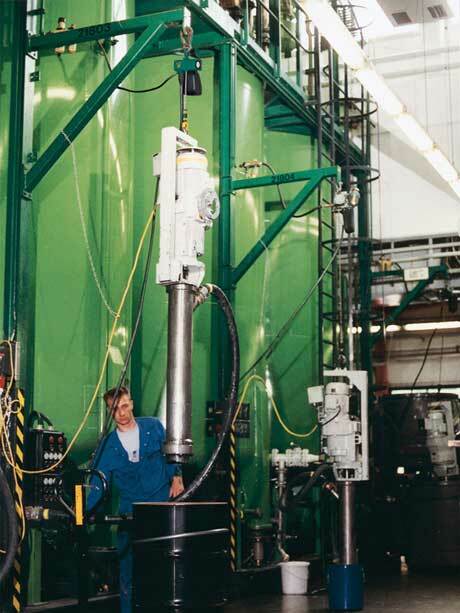 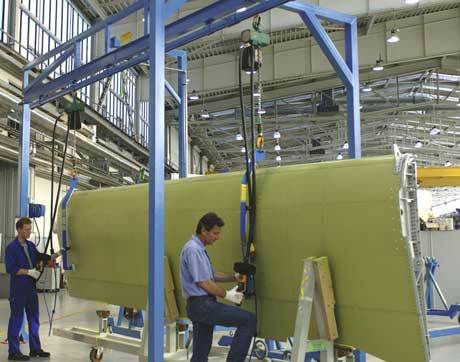 The hoists are all 100% duty rated with unlimited duty cycles, so minimising any downtime conditions. Their compact modern design eliminates any protruding control hoses or similar external parts susceptible to damage, emphasising the suitability of the Profi range for even horizontal pulling. 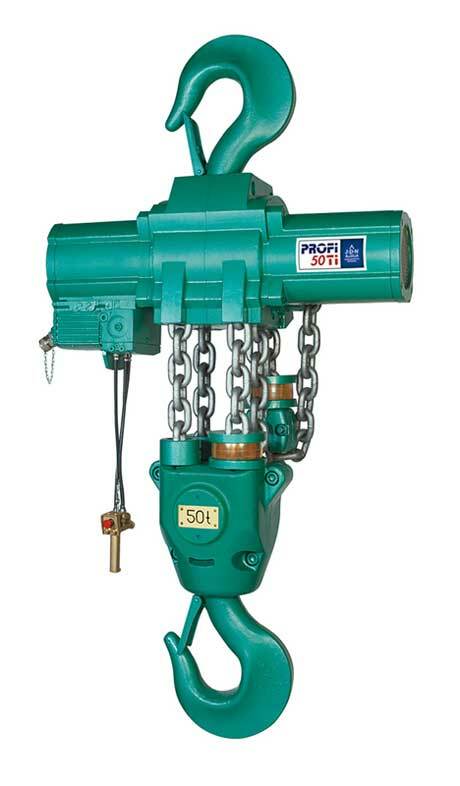 These standard hoists are also insensitive to atmospheric dust or humidity and can withstand working temperatures ranging from ‑20°C to +70°C. 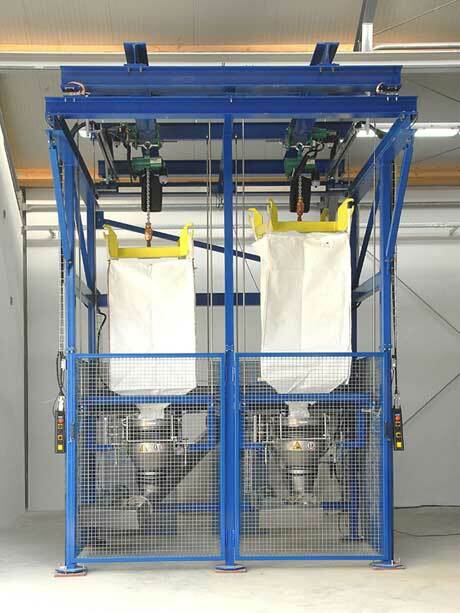 Their patented, low maintenance vane motor brake systems ensure fail-safe starting and positive braking, while also being low maintenance as well as providing lube-free operation. 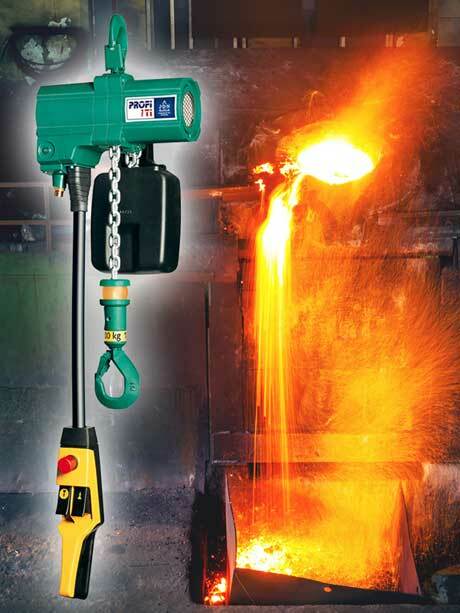 Various pendant controls can be fitted for sensitive, single speed, multi-function or remote control operation. 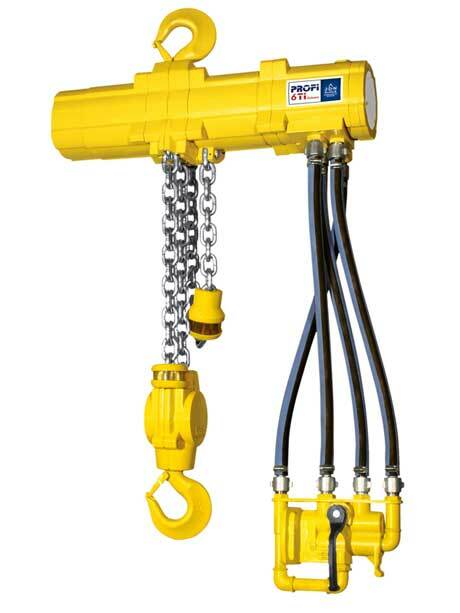 These design-led hoists also provide strong, fast and silent operation combined with high performance efficiency and reliability even when operating at high lifting and lowering speeds. The compact hoist designs ensure minimum product dead-weight, and when operating with loads from one tonne upwards also feature overload protection as standard.